DAWSON ~ Wanda Lucretia Shaw-Dawson, daughter of the late George W. Shaw and Mildred Williams was born September 1, 1963 in Brooklyn, New York. At the mere age of nine years, Wanda moved to Jacksonville, Florida. She attended the public schools of Duval County, graduating from Paxon Senior High School, class of 1982. 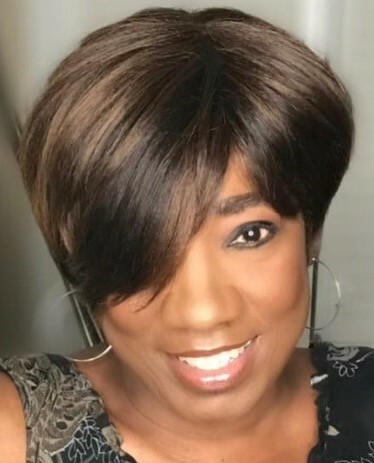 After graduation, Wanda married, entered the workforce, continued her education at Concord Career Institute and Florida Community College of Jacksonville. Wanda was a devoted mother and grandmother with many talents. She was a Godly woman, confidant, friend, provider, protector, advocate and a fighter. To know Wanda is to love her. She had that one of a kind spirit. Even when the lights began flickering, she remained faithful, loving and caring. Wanda departed this life Friday, November 30, 2018. She was preceded in death by her loving parents and brother, Rodney A. Shaw. Wanda was survived by three daughters, Terri (Juan) Howard, Tiffany Dawson, Tannesa Lampley; son, Javon Vincent; grandchildren, Zae’Qwuan Lamar, Derek Lamar, Ja’Juan Howard, Ameera Howard, A’Mya Howard; brothers, George Shaw, Gary (Sarah) Shaw, Theodore Shaw; sisters, Katie McKinnon, Rosalyn (Lewis) Thomas, Mildred Shaw, Lisa Shaw; a host of nephews, nieces, uncles, aunts, cousins and myriad of friends. Celebration of Life Service for Mrs. Wanda Lucretia Shaw-Dawson will be at 10:00 AM Saturday December 8, 2018 at The Soutel Chapel. Viewing is one hour before the service. Because of the love of her family, arrangements entrusted to J. E. Fralin & Sons Funeral & Cremation Services, 5065 Soutel Dr., 904.924.9400.